On March 19, 2012 in Brussels, Respond On Demand organized an event to promote Greek hotels and Greek tourism destinations. The event, was held in cooperation with the Greek National Tourism Organization in Brussels and the aim was to introduce new Greek tourism destinations and special hotels to the invited tour operators and travel agents. 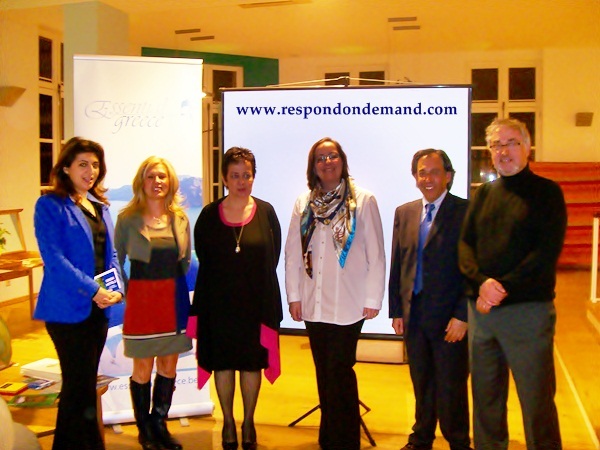 Respond On Demand, in collaboration with Ms. Eleni Skarveli, Director of G.N.T.O. Belgium- Luxembourg, is planning to organize similar targeted events in the future.